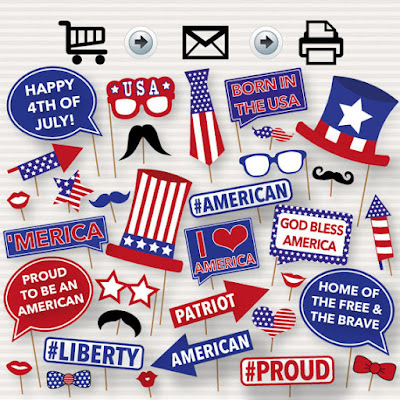 Can you believe July 4th is around the corner? We found out last year, that despite being in city limits, we can have fireworks! I know it's crazy, but it's also fun. 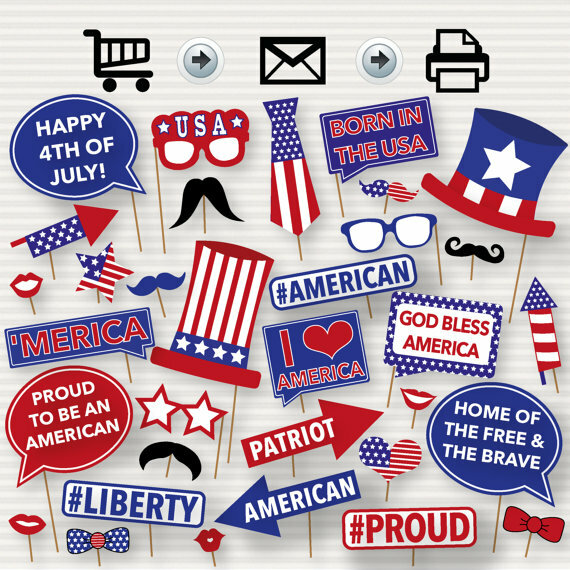 If you are planning a party, check out these great ideas for keeping the party going until the fireworks display. 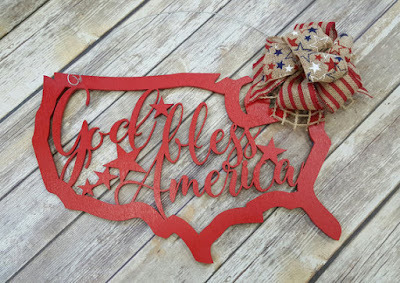 Try a different door hanger this year. Welcome guests with an adorable wooden door hanger from Need More Heart. Don't forget to send out invitations! After all, you do throw the best parties. I love the rustic and patriotic look of this invitation from Adrian Marie Designs. Whether you make a photo booth or rent one, remember to print out these cute photo props from Surprise INC. We do a photo booth for our New Year's Day parties, and it's always a huge hit. These patriotic coozies from Pretty Penny & Co. pull double duty. Let your guests pick out their faves. 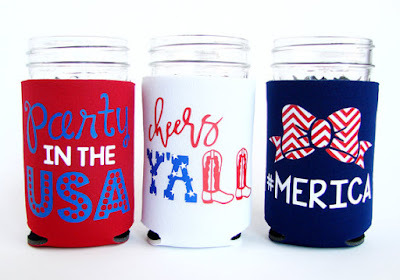 The coozies will keep their drinks cool during the party, and they can go home as a party favor. What an unique idea! 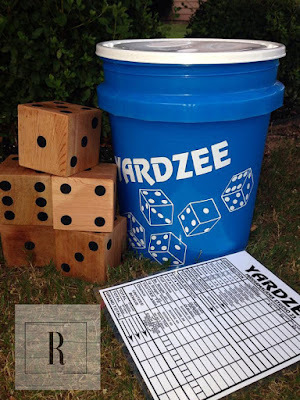 Restored by Ryan can build you a huge yardzee game. It's Yahtzee on a grander scale. Get everyone outside and interacting. Serve up your best dish on a custom platter from Mine By Design Studio. 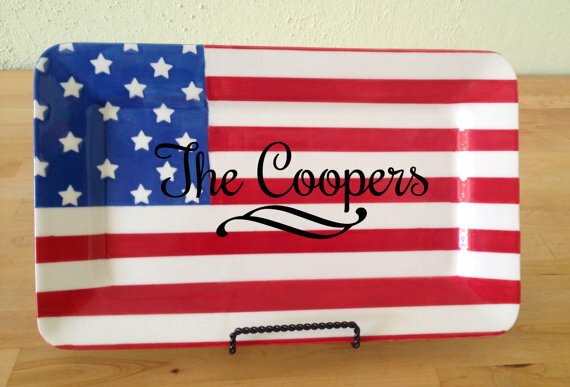 The platter can be used for Veteran's Day, Memorial Day, and July 4th. You gotta love a multipurpose platter. 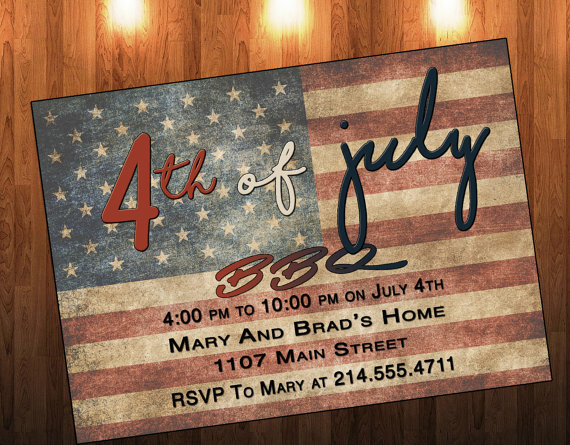 Those 4th of July invitations from Adrian Marie Designs are amazing and could be used for our DAR chapter luncheons too! Wow! Nice collection you got there Amanda! Tatiana Z. - Surprise Inc. Thanks Tatiana! We love throwing fun parties, and cute items like yours make the party a success.